In the 2014 NFL Draft, the New England Patriots picked James White in the fourth round as the 130th overall pick. A few years down the line, he has become a two-time Super Bowl champion doing his best at remaining relevant to his team and fans. More so, during the Super Bowl LI, he became only the second player since Alan Ameche in 1958 to score the winning touchdown in overtime in an NFL championship game. The expertise which the player has been known for is just one of the many things detailed in his life’s bio herein. 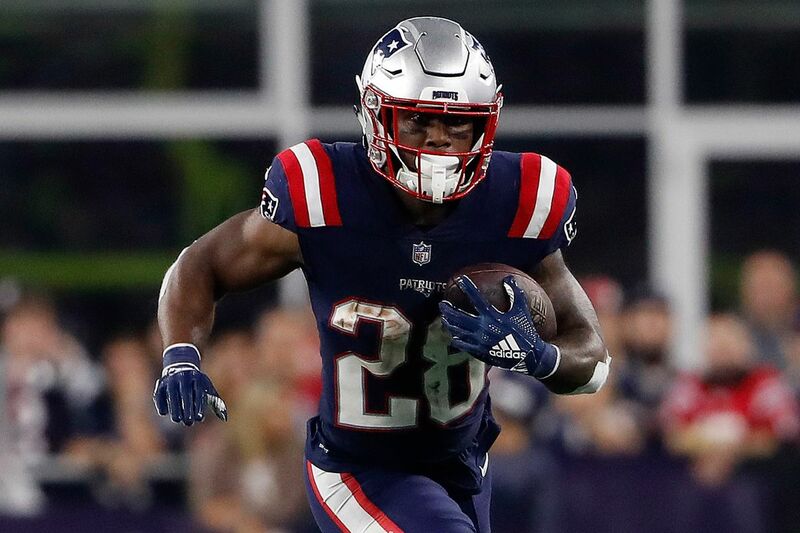 The Patriots running back was born James Calvin White on February 3, 1992, in Florida, Fort Lauderdale where he was raised by his parents, Lisa White and Tyrone White in a family that loved football. This is most likely his first exposure to the world of sports which would eventually make him a household name. From the age of seven, White had already started playing football, which came quite naturally since both his father and older brother, as well as other men in the family, were doing the same thing. He got his education at Fort Lauderdale, Florida, at St. Thomas Aquinas High School. While there, he played football and made the 2008 St. Thomas Aquinas National Championship team. With the school team, he won two state championships. From high school, he moved to Wisconsin in 2010 where thanks to his contribution to the team, he was named 2010 Big Ten Freshman of the Year. He played for the Wisconsin Badgers football team until 2013. He entered the 2014 NFL Draft and got selected by the Patriots. He didn’t get much play time in his rookie year, but in 2015, he got the attention he deserved following his two-touchdown performance in Week 11 helping the Patriots to secure a 20–13 win over the Buffalo Bills. 2016 was an even better year for the Fort Lauderdale native. During Super Bowl LI, he made a record-breaking 14 receptions against the Atlanta Falcons, becoming the only player to score in overtime in a Super Bowl since 1958. Despite putting up one of the best ever performance by a running back in the Super Bowl, White lost the MVP to Tom Brady who said he believed the former deserved it more than he did. 2017 was also a great one for James White with a contract extension that would see him remain with the Patriots until the 2020 season. More than that, he helped the team advance to the Super Bowl LII. Although at the Super Bowl he again played well, it was Nick Foles‘ Philadelphia Eagles that would have the better side of the day with a 41-33 win. He was named team captain in 2018, the first ever in his career. For yet another time, he has helped the Patriots to secure a place at the Super Bowl LIII against the Los Angeles Rams. Looking at James play, one may get to toy with the idea that the Patriots man has football in his DNA. That may as well be true considering that from his grandfather, James Willis, to his father, his uncle Craig Whit, and his brother Tyrone Jr., all have been involved in the sports at different levels. Outside of football, his father is a law enforcement officer who works as a Miami-Dade police officer while his mother is a probation officer. In March 2018 after the Patriots lost the Super Bowl LII to the Philadelphia Eagles, the Patriots running back tied the nuptial knot in marriage to Diana Civitello. The two have been together since they met as students at the University of Wisconsin. James Proposed to Civitello in March 2017 after the Patriots claimed the Super Bowl. The net worth of James White is estimated at $13 million. Based on his three-year $12 million deal extension with the Patriots, Sweet Feet as he is also called had a base salary of $1 million for 2018, and an expected $2.5 million for 2019, and $3 million for 2020. He has a guaranteed $4,690,000 and other bonuses. Other than his excellent playing the field which has made him quite wealthy, James has his hands in some other cookie jars from where he equally earns handsomely. Things that have added to his fortune are his endorsement deals and his Sweet Feet merchandise. Apart from the different records that he has set in the NFL, James White has won the Super Bowl twice. Before then, he was a three-time Big Ten champion, a two-time Second-team All-Big Ten, and he was a Big Ten Freshman of the Year in 2010. Many say his career in the NFL has largely been successful due to his ability to put his natural endowments to good use even though they are not the best we have seen in the game. White has a height of ‎5 ft 10 in (1.78 m) and a body weight of 205 lb (93 kg).